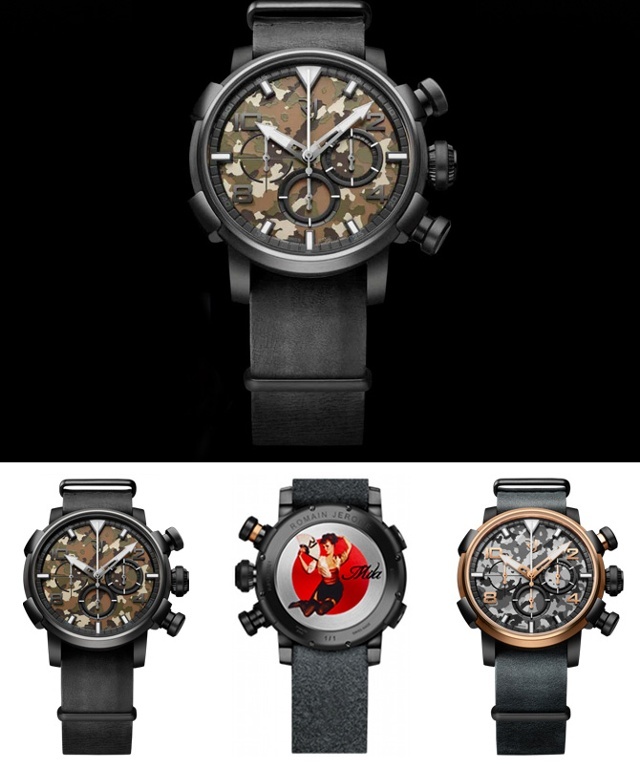 During BaselWorld 2014, Romain Jerome introduced its new Nose Art-DNA models. iW caught up with CEO of Romain Jerome, Manuel Emch, to discuss the new timepiece and its inspiration, a Boeing B-17 Flying Fortress entitled the Pink Lady. The Nose Art-DNA is a tribute to 20th century flight and the artwork displayed on aircraft noses. Like other timepieces in the DNA collection, this model incorporates actual pieces of its inspiration; the Boeing B-17 Flying Fortress. The particular aircraft utilized in the timepiece is the Pink Lady. In 1945, the aircraft took flight and served in missions throughout WWII with the US Army, based out of Great Britain. The aircraft flew further when, after the war, it took part in exploratory missions around the world. Recognized for it’s Pink Lady pinup nose art, the aircraft inspired not only the material and construction of the timepiece, but a secret portrait on the caseback. Each of the limited 99 pieces of the Nose-Art DNA feature a pinup portrait, reminiscent of the famous Varga girls. Continue reading.